It's tough being a developer.Pioneering new ways of doing things and trying to make alittle money to tide you over until the big project takes off. Gametrender tries to take the strain off of you by providing our marketing and translation services and we've always got our ear to the ground when it comes for other resources for developers. With that in mind I'd like to introduce 'Gto's Developers' Cave'. Started by community lauded developer Damian Gto the website is a powerful and large forum for Android Developers. The community is vibrant and learned and very active in support of all the work that is going on. I highly recommend having a look if you're a developer. It's fun and creative making apps, but let's face it a big reason that you all do it is to make the money. Gametrender is always on the look out to find you new and better ways to get your apps to market and one of the best ways that we've come across in a while is Appbackr. Using the power of the masses the basic concept is that people invest money at a wholesale price in your app, when the app get's to market the backers get a certain percentage of the profits. Looking into it the highest backed amount I've seen is 20 Thousand dollars raised so far for the port to Android of the popular iPhone game Medieval. The company is well worth looking into if you're trying to raise money or if you want to be a micro investor in apps. Gametrender is always looking for new, better and more ways to get the best apps into the hands of all eager app users out there:So we are proud to announce I our app store is now up and running. Android market and the Apple App store are great but so many apps are drowned beneath the multitudes that alternatives like http://gametrender.appstore.com are needed to let all apps that might elude you have their time in the limelight. We are just getting started so things are a little rough and ready. Developers contact us if you want to be hosted, gamers pay us a little visit and bookmark us for the future when we get the store open properly. Our app marketing service is starting to become very popular, with some developers noticing a definite increase in downloads. And that's not to mention our other popular services of app language optimisation and translation. Our website continues to grow too with the five thousand mark just around the corner. So here's the contest: when Gametrender reaches its five thousandth reader we will pick one lucky winner from the hat(the draw will be recorded on Youtube) to receive one of the free Gametrender services: app marketing, translation or dialogue optimisation. About five months ago I finally took the mobile phone contact plunge and took a phone on contract. 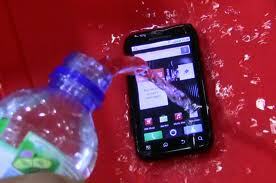 It was not just any phone though, but the much applauded Xperia Play. 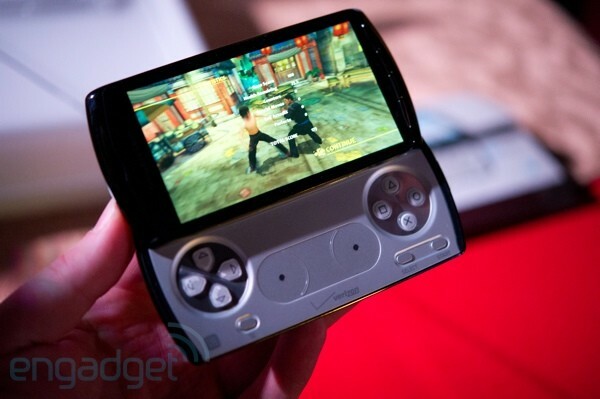 The first official Playstation Phone has lived up to its hype, the exclusive, at least for a time, games have come thick and fast including Backstab and Minecraft optimised for the Xperia Play. Developers have lived up to their promises with major players like Gameloft and EA sending quality titles the Xperia Play way. The Play is also more importantly not just the first Official Playstation phone but also an Android phone so benefits from the fantastic customisable operating system and the superb Android market. That is why the Nintendo 3Ds that I bought just a week prior to the phone arriving has subsequently been sold. Good and unique as the 3DS is I just don't have time in my life for two gaming platforms and the Xperia Play with its Android market access and continuous presence in my pocket (it is a phone after all!) makes it a winner all round. Ever since the first pixel ponged off of a virtual bat and the first time an invader entered our space, video games have been founded on the twin pillars of fun and technology. Gamings swift rise in the use of technology is remarkable and very similar, but much swifter then the early days of film. Movies over a series of decades progressed from black and white silent film, to many tens of years later soundtracked colour films and eventually the third dimension as we have it today. 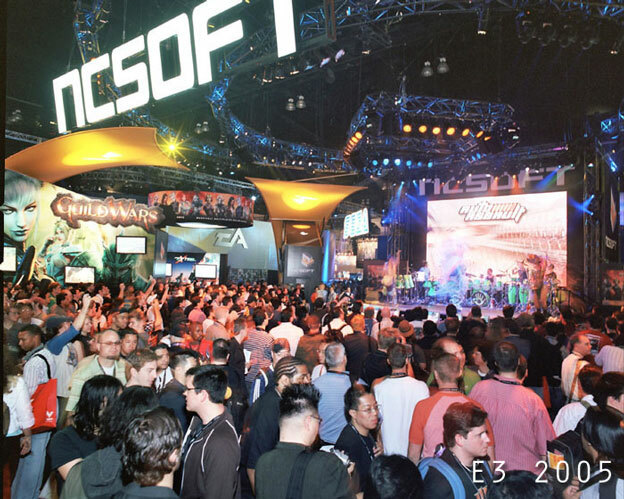 Video games quickly rose from black and white symbolic graphics to the almost photo quality, three dimensionally capable, gesture controlled, triple aaa soundtracked, hundreds of million selling franchises that we have now. But for both forms of entertainment we seem to have a new is better attitude. A new game or movie will come out and all the hype, hyperbole and excitement surrounding it will push thoughts of other old games out of our heads. In the movie industry, whilst not desirable, it is not damaging to the industry. The reason why is that in the course of a year an unfeasibly large amount of blockbuster movies aren't released. There are enough released that they can co exist quite contentedly together. If a patron wants to watch all of a seasons top movies then it is quite possible that they can. It is also quite feasible that older but no less brilliant movies like Star Wars and The Godfather et al can also exist and be viewed alongside the latest blockbusters as the weight of their names has enshrined them in the public consciousness, to such an extent that even though they are made with outmoded technology and techniques they are still very much enjoyed by viewers today. Video games however have the problem that sometimes the technology of bygone years is so far removed from todays that it would be very hard to enjoy a relatively old game. Just as it would be unlikely for a modern person to watch a circa 1900 silent movie, so would it be unlikely that a gamer would enjoy a game of Pong other than out of curiosity. Gaming still needs to mature its technologies to the point, at least from a graphical perspective, that a game created today could still be enjoyed in fifty years time and not be absolutely cringeworthy and embarrassing to play. Just as a game of chess by its very nature is not technologically dependent, this is the position that gaming needs to be in. So whilst gamings rise can be correlated to that of movies from a technological and state of the industry perspective we still have a long way to go. If you're going to do something then do it well. Or in the case of Damian Gto's " Stardust": Superbly! Here's your checklist: Do you love games? Do you love games that challenge and yet relax you at the same time? Do you love brilliant graphics and great sound? and some optional checks: Do you like Mars? Does Space interest you? And what about the great work NASA does? Well check one , more or all of the above and Stardust might just be on your game wish list. Inspired by NASA's Mar's exploration Stardust takes the simple premise of an image matching game and does it with such panache; style and love that the game shines out from its peers. Does it actually have any peers? Well, yes if you're looking for a card matching game. A very resounding no if you're looking for a card matching game with great playability that uses actual images taken from Mars as its card set. Space is out there-Stardust is a lot closer and just a download away on the Android Market. Have you ever wondered where these app get their names from?The Android Market and rivals are inundated with apps so it's interesting to see some of the marketing strategies that are coming out from app developers in a very congested market. Of course major app developers always have a trick or two up their sleeve and Sony has come up with an Ace of Spades by quite simply naming one of their new apps with a foolproof name that does exactly what it says on the packaging Video Trimmer. What does the app do, trim videos of course! https://market.android.com/details?id=com.sonydna.videotrimmer. The Video Trimming app has many rave reviews and is well worth checking out. App gaming is a very luxurious hobby with us lucky spoiled gamers wanting even expecting certain sets of features. So what sort of features do we want, is there an expected feature set and do these features actually help to sell apps? Of increasing popularity in recent times are services like Openfeint providing online leaderboards and friend matching for online games. Services like this make it easy to share, play and compete in games. Other features can range from the simple, such as a dedicated pause button, to more traditional gaming features such as multiple difficulties. Many of the top mobile apps are very savvy to the worth of a good feature set, such as multiple tracks in racers or different character wardrobes, both of which amongst others can be used to perform micro transactions and gain money for the developer. It is interesting to see the direction that some developers are taking app features. Increasingly those already mentioned such as leaderboards are becoming mundane and the best developers are integrating dedicated phone features into increasingly varied uses, such as the use of GPS for location based gaming. as long as the developers keep producing the goods we'll keep on being astounded by our phones. Being a frequent traveller I often have the dubious pleasure of whiling away time at the airport duty free ( five hour plane delay! Thanks Easyjet!) As a general moan duty free is not what it once was as homegrown shops now seem to be much more competitive.Anyway not to digress, this isn't a travel blog after all, but I've kicked off the post talking about Airport shopping as there is one particular product on shop shelves that should be of particular interest to App Developers as a source of revenue : The ubiquitous travel games. Coming in at an average price of about seven English Pounds they can be found all over the airports, I assume they exist elsewhere but here is where they are at their most noticable. Monopoly; Ludo; Draughts;Backgammon etc. They're a good idea and should be having probably existed as long as long haul flights have, but as a technocrat I firmly believe that now is the time to move on. Let's face it you're probably only going to use it once and then lose the pieces, also why pay such an exorbitant rate if you can get a smartphone app that can do the same. And of course if you're lucky enough to have a tablet then the large format will be even more enjoyable. It's not just the cost saving and longevity that would make a travel app better then the physical game but all the extras that can be added: leaderboards; high score tables; a list of your destinations and winners of games for previous journeys-the list is endless. Great Travel Hangman Game-Who needs paper? If you're a developer finding this contest from my link then write back and let us know how you got on. Remember that we're still needing developers to add their details and credentials to our database. Google Offers on Android Market, when? As a frequent researcher of Android related apps and technology I'm often on the net looking for inspiration for articles. It's an onerous task but frequently rewarded with many interesting tidbits-things we should really know as technocrats but which slip beneath our radar. 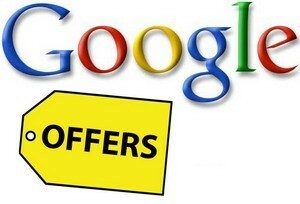 Whenever Google does something we should be all over it- especially something as phenomenal as Google Offers, in a nutshell Google has now taken the torch on from Groupon and is attempting to do the same thing that Groupon has succesfully accomplished-ie give offers out to consumers. Perhaps with their enormous power Google will provide an even better service. The catch being that as far as my research indicates Google Offers has only rollled out in the USA so far , so let's hope that it becomes global sooner rather than later. This article ,however, is not about the new Google service( a more in depth analysis can be found at ), what this article is actually thrusting towards is what Google Offers could actually be, harnessed to the power of the Android market. Push notifications and location based offers become a big game winner for such a service when leashed to an always on smartphone. So whilst the rest of the world waits with bated breath to see when Google Offers will get to their doorsteps now is the time for enterprising developers to start making the apps that will become the authoritative application to use when the service is rolled out. 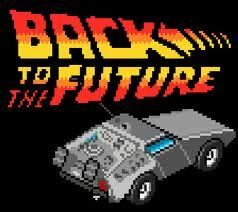 So early adaptor developers get busy: A huge opportunity is just on the horizon. Pseuds bandy about the fact that we are a global village, connected by the information superhighway an event in a far away land that our ancestors would never have believed existed can affect us right in our own homes. Hence Hurricane Irene becomes akin to a global blockbuster movie with people on the edge of their seat wondering what will happen next, the credit crunch drives up the price of bananas in Sierra Leone, and the destruction of a large twin building changes the whole world forever. What else unites the world, technology of course, and nothing more so than mobile phones. From Bombay to New York , Iphone and Android phones are immensely popular, as well as the phones the apps and games for smartphones are universal in their popularity. So is gaming a social , world encompassing phenomenon, it will be interesting for readers in technologically poor countries or travellers to those countries to write comments on this post. 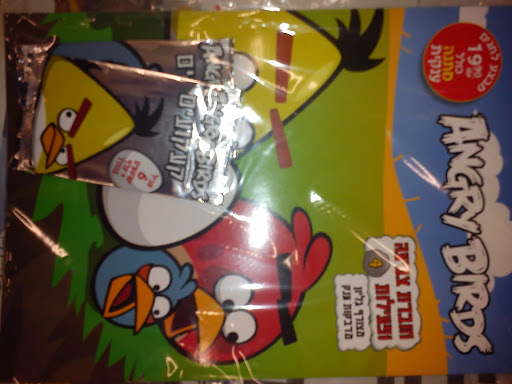 But speaking for connected countries the moment I realised that Angry Birds had upgraded itself from a smartphone app sensation to a phenomenon was when I worked into a small food supermarket in the small Israeli town of Haifa and saw an Angry Birds magazine. In Hebrew! For all app developers interested I believe that the gist of it is to create an app that will help 'phones be more accessible to the elderly and handicapped people. So a chance to develop apps, which is what we do best anyway, make some serious cash, and help disadvantaged people. Definitely an opportunity not to be missed. Depending on a platforms capabilities there have always been certain genres associated with different platforms. The Nintendo Wii for example will always be associated with motion control games, normally of a childlike persuasion. Pc games will always be known predominantly for RTS and other mouse friendly games. Touchscreen mobiles in the relatively short time they have been around have carved out a surprisingly large amount of genre niches. That is not to say that these types of games only exist on this platform but it would be hard to argue that touchscreens aren't the best suited for them. A very reviewer friendly genre as it does exactly what it says. The character normally runs from left to right with inputs from the player normally limited to single finger jabs usually associated with an action like jumping. Scores are normally totted up by how far the character runs and the challenge is tempted up by adding obstacles along the way. So far so simple, so you'll be asking what's good about it and why should you play it. 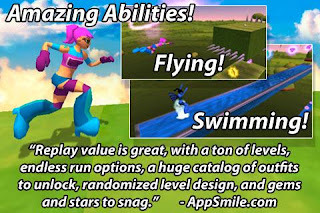 I've chosen a brilliant endless runner called DIVERSION https://market.android.com/details?id=com.ezone.Diversion&hl=en as an example to show exactly how good a polished version of this genre can be. Diversion is by far the best endless runner I've played. At first appearances it's apparent how much effort has gone into the game. The graphics are superbly rendered in 3d being easily on par with a mid generation Playstation One game. The music is all jingly and bouncy filled with adrenalin and hinting at the potential for manic kinetic energy. The avatar you play with has a lot of personality. A female protagonist has been chosen perhaps in a cursory head nod to the legendary Mirrors Edge. The avatar its imbued with personality , and adding to the games sense of polish and fun is upgradeable. With lots of different outfits waiting to be bought or unlocked. Not only that but part of the fun is that each outfit bestows different skills which it is up to the player to find out. On to the game itself, firstly it must be pointed out that it has lots and lots of levels, hence a lot of longevity. Of course it wouldn't be up to much good if the levels lacked variety, but variety they do have in bucketloads-floating minse,slides,jumps,warps,ziplines to name a few. Timing is crucial on each of these as you attempt to get the highest score. Try new gameplay in match3 style game. Beat highscores. Train your logical thinking in a new fascinating game. Its something between match3 game and puzzle game. Slide gem on another gem of the same type to create new supertype. Two or more neighbouring gems of the same supertype (depending on level) would be removed. ''Try this new and fascinating 'Match3' style game. Compete at your best and you might just beat the highscores. Maybe! If you're a logical thinker you can only get better with this app, if you're not then what better way to get that brain training? In a unique fusion of a 'Match 3' and puzzle game this will draw you in as you frantically smash those gems together to get the elusive supertypes. As the levels progress the supertypes smash together and get erased gaining you a higher score and a shot at the leaderboards. Over the next few weeks I'll be mailing him and others back to see if the language fixes helped them at all. From my side of things the campaign had got off to a roaring start with gametrender.webs.com now an official partner of Kidga games and linked in his apps. This is one of Kidga games many games that I've helped to optimise. Old skool not cool: Android Gamings homage to the past. Initial uptake after my marketing email was very good indeed with about three developers contacting me for work straight away and some for future work. We are very interested in your proposition. We can provide link to your website in credits window inside game. I am attaching 2 files to this email: game description and app dialogue. But the real work was only starting! The developer had also emailed me his APK file which I had to go through with a fine tooth comb and change his awful English into something at least vaguely understandable! All I can say is thank goodness it wasn't a RPG, as it ended up being a very late night indeed for what was probably only about a thousand words of dialogue! And so with that simple email I was started on the road that would eventually lead to being a partnered publisher on the Android market itself! Mobilephones have in recent times joined the staples of a man's pocket, adding to the dynamic duo of keys and wallet most people wouldn't consider leaving the door without their mobile phones also. These miniature computers,thanks to app access now have virtually unlimited uses: communication device,gps,alarm,camera,watch being among some of the most basic functions that we can enjoy. However there are some hard engineering facts that stop us using them to their full potential: they're just too damned easy to break! Engineers have done a superb job in recent use in making mobile components faster,cheaper,more reliable and ever more powerful, however there is a pressing need to make them much stronger. Recently on holiday I was spending a lot of time poolside and down the beach. I'd unconveniently forgotten my camera at home, but whereas my mobile normally quite easily fills that gap I was reluctant to expose it to the sand and heat of the beach. Swimming laps in the pool I thought to myself that my experience would be enhanced if I was able to time my laps using the phone or listen to music. With its built in accelorometer it would have also been great to have an app that could analyse my swimming stroke and give me advice. 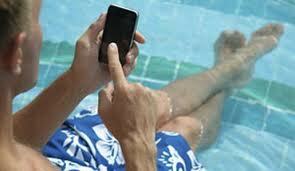 That app sadly will not be invented for the forseeable future as phones are not pool friendly. Even sat relaxing around poolside I was reduced to reading a Kindle as in direct sunlight my xPeria Play's screen was just too hard to see. Again on a bicycle tour down the Majorcan coast I was reluctant to bring the phone for fear of knocking it, on another note functions such as Google Goggles and Google Maps would have made the bike trip more enjoyable, but international internet access rates are far too steep to to be using the bandwidth for such activities. Android gaming and smartphone gaming is arguably one of the most cutting edge fields in entertainment today, a developer has the ability to virtually create a game within a few hours, the tools and technology that developers and gamers have access evolve at a phenomenal rate. And more importantly unlike traditional gaming industries the Android market has a massive amount of freeware resource tools to draw on. But there is one issue that no amount of cutting edge tools can solve: that of creativity. The ideas of game designers must come from somewhere, recent games I've played give a very strong case for traditional non technological games being a very good source of inspiration. Pocket Soccer by Rastergrid Entertainment http://rastergrid.com/blog/ especially got me thinking about this issue. The game it must be said is very good, with a slick presentation, three difficulty levels, lots of playability and polish. Of note was the way the game was played, on a simple playing field players take it in turn to push one of the players represented by a disc with the teams flag on it, to score goals. The influences are two fold with traditional football being a clear influence, flick football being another and interestingly enough the Rts staple of turn based games. Arguably without the developer drawing on these influences, whether consciously or not, the game of Pocket Soccer would not exist.